What would you like to know about Cambodia? Cambodian currency is called the riel (KHR). The exchange rate is around 4,000 to US$1. US cash is commonly used for purchases, though change may be given in riel. Riel is a non-convertible currency, meaning once you have left Cambodia, it's useful only as wallpaper -- banks outside Cambodia will not accept or exchange it. International access ATMs dispensing US dollars can be found in most major tourist centres across the country. Corruption is an issue. Don't be surprised if the police ask for money for no particularly relevant reason. If you're robbed and report it, don't expect the standard of investigation seen on CSI. Most likely there will be no investigation. Anything more serious than a papercut or a hangover and you should get to Thailand or Singapore for seriously good healthcare. Do not, repeat do not undergo any serious medical treatment in a Cambodian hospital if you can avoid it. You have travel insurance right? This is what it is for. Public transport is relatively comprehensive and inexpensive. Driving standards are woeful though and seatbelts are close to non-existent. Motorcyle taxis (known as motos) are a very common way to get around -- always wear a helmet. You will need a visa for Cambodia. 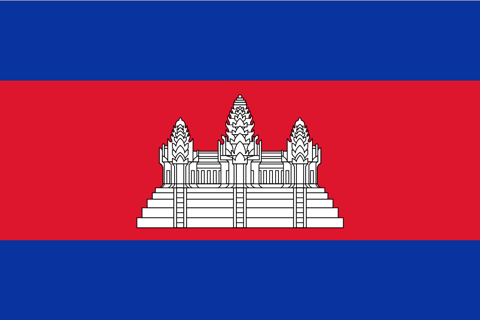 See our Cambodian visa page for details. It's hard - really hard. Strive for the basic phrases and don't be surprised when you get a warm response. Unlike neighbouring Thailand, Laos and Vietnam, Khmer is not tonal, at least giving you half a chance to master a few words. There are two seasons -- the hot dry season and the hot wet season. Chances are if you're from anywhere outside the tropics, you'll find Cambodia to be very hot -- and sweaty. For detailed weather info, see our Cambodia weather page. Don't expect the bus to leave on time, nor for your poached eggs to be firmed just right. 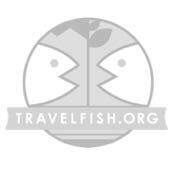 The tourist industry is developing and considerable resources are being poured into training. That said, you'll have a better time if you have a relaxed approach -- to just about everything. Don't let the broken footpaths, leaking toilets and dripping air-con put you off. Cambodia is a fascinating destination. It is more challenging than a week on the beach in Fiji -- but it's a lot more interesting too. Take it easy, see more than just Angkor, and you may find yourself back again before you know it.